Northern Ireland section: ‘‘Is It Me?’ How do attitudes in the adult social care system impact on the independent living choices of disabled people’. This blog is an update on the exciting project regarding attitudes towards disabled people in the context of adult social care that we are currently conducting. The project is funded by the Disability Research on Independent Living and Learning (DRILL) and the Big Lottery Fund, and is led by Disability Action NI (DANI). The project has the ambitious goal of conducting co-produced disability research, by setting up a Research Partnership comprised of disabled advocates, activists and a representative of the Northern Ireland Social Care Council (NISCC). The Research Partnership makes all the decisions about the project together ensuring that the lived experience and expertise of disabled people is always prioritised. The ‘Is It Me?’ Project started in May 2018 and the final report for the project will be ready in September 2019. The project has provided a great opportunity to discuss the under researched topic of attitudes and their impact on independent living choices, at a time when the adult social care system in Northern Ireland (NI) is being reformed. The project is divided in four stages: stage 1 is focus groups with disabled people; stage 2 is a focus group with professionals in the adult social care system; stage 3 is individual semi-structured interviews with disabled people; and stage 4 is an online survey for social work and social care workers. 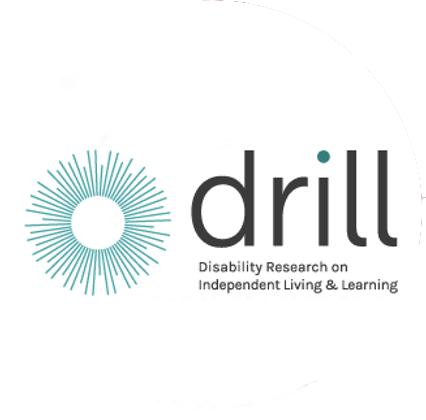 Ethical consideration and approval has been sought and successfully granted by the independent DRILL Ethics Committee, comprised of experienced disability studies scholars who have advised us on how best to conduct ethical co-produced disability research. We have completed stages 1 and 2 of the research, and the experience for both the Research Partnership and the participants has been positive and very informative! We facilitated four focus groups with disabled people in several locations across NI (Belfast, Cookstown and Derry/Londonderry). We engaged with 28 disabled people in these focus groups and had passionate discussions about the types of attitudes disabled people have experienced and how these attitudes can be both a barrier and an enhancement to independent living. We have spoken to people with various disabilities and long term conditions, who come from all corners of NI, and the various perspectives provided has ensured that the focus groups are shared and inclusive space. We also facilitated a focus group with professionals in the adult social care system with the help of the NISCC. We wanted to speak to managers in the adult social care system, in order to get a rounded picture of how people perceive attitudes as either a barrier or an enhancement. What was fascinating about this focus group was that the managers recognised many of the issues and positive examples raised by disabled people. This has which confirmed that a vast majority of participants in the adult social care system would like to see it reformed, to account better for the impact of attitudes on independent living choices. Our next stage will be stage 3, or semi-structured interviews with disabled people, where we will continue the discussion on attitudes and their impact on independent living in much more depth. The interviews will start at the end of January 2019 and will take place over a few months. We aim to get in touch with many different people, in order to give a platform for some voices that do not get heard often. We are excited about the opportunity to research attitudes further and put forward the lived experience of the participants at the core of our final recommendations. If you are interested in hearing more about the project, or if you want to get in touch with the Research Partnership, please contact the lead researcher Ivanka Antova from DANI at [email protected], or by calling 028 9029 7880.